Achipa Mary Goretti was born on 5th August 1998 to Obiotto Joseph and Amenya Esther. She is one of the seven children being raised by a single mother with no clear source of income. 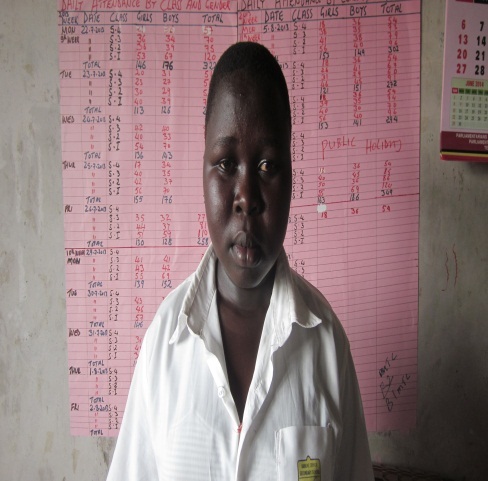 Mary Goretti and her siblings were orphaned in 2007 following the death of their father. Achola Joyce Mary was born to Ogwang Joseph and Asekenye Jessica on 24th July 2001. She is the third child and the only girl in a family of four children. Her father died in 2007, leaving Joyce Mary and her three brothers paternal orphans. Joyce and her siblings live with their mother who has no reliable source of earning a living. 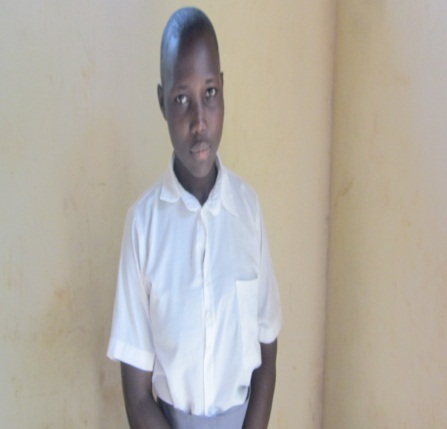 Kulume Grace is an orphan who lost her father, Okello George, in 2010. Her father was the bread winner for the family and his death greatly affected the family’s ability to access basic needs. Grace and her young siblings live with their mother, Apolot Hellen, who is a peasant farmer who struggles to make ends meet. Akia Mary is from a polygamous family. She is fourteen years old. Her mother, Akia Betty, died in 2007 leaving Mary and her five siblings maternal orphans. Given the large size of the family (ten children) the little help Mary gets from her father, Okurut Vincent, towards her school requirements and other basic needs is a drop in the ocean. Agadi Lobisa is a maternal orphan. She lost her mother, Amoding Stella, when she was only one year old. 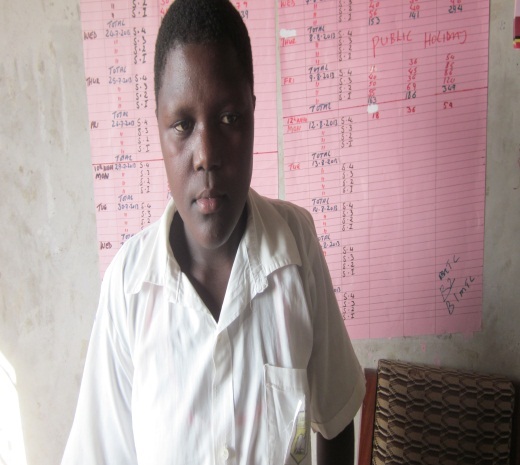 Following the death of Lobisa’s mother, their father, Odeke George abandoned them. Lobisa and her four siblings were left with their paternal grandmother, Itala Demmy, who is over seventy years old, poor and needy, herself. Aseere Dementeria is a paternal orphan who lost her father Akaalet Charles in 2008, when she was thirteen years old. Since then Dementeria and her mother Nakiria Anna have been living a life of misery with her seven siblings. Her mother is too helpless to support her and her siblings. Dementeria and her siblings work on neighbours’ gardens during weekends and school holidays in order to facilitate themselves in school and provide basic needs at home. Agoe Marion is the youngest child in the family of seven children. Her father, Obukan Joseph, died when she was very young. 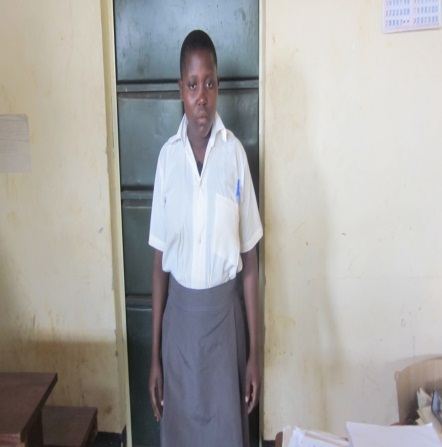 Although she is the only child in the family at school, her mother, Moit Joyce Mary, is very unable to meet her basic school requirements such as lunch, scholastic materials and sanitary towels. 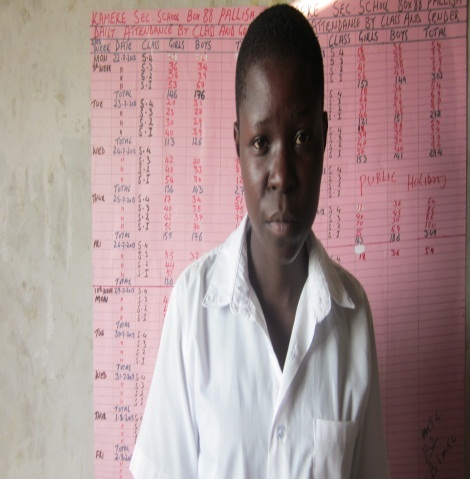 After dropping out of school Marion’s older sisters were forced into early marriage. Adongo Esther is the oldest of the seven children of the family of Omoding Robert and Itemawo Jennifer of Omuroka A village. 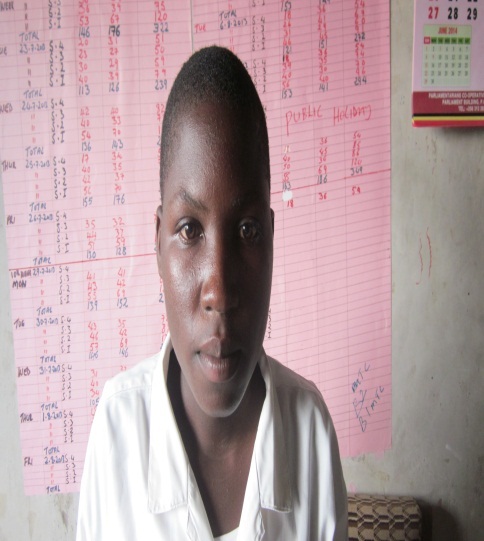 Esther and her siblings were orphaned in 2012 when they lost their father. They live with their mother. The death of the father compounded the family’s vulnerability. Esther and her siblings sell their labour to earn some wages to help meet some of the family’s basic needs, food clothing and other household and school requirements. Meesi Florence Kasaimo lost her father, Odakara Lazaro, when she was young. 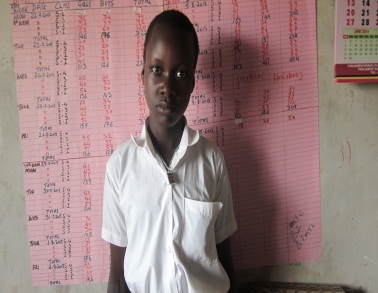 She lives with her mother, Agwang Mary and ten other children. Nine of Florence’s siblings dropped out of school as their helpless mother could not support all of them. Although Florence has an elder brother, he is equally helpless in addition to having his own family to look after. Agadi Sarah is a maternal orphan. Her mother, Akomolot Joyce Mary, passed away when she was very young. Sarah comes fourth in the family of six children. Following the death of the mother, her father Ochan Justine remarried and abandoned Sarah and her five siblings, leaving them to fend for themselves. Though Ochan Justine is the biological father and head of the household, he renders no help to his children. Agadi Margaret is the youngest of the four children of Tukei Ben and Agadi Margaret. Her father died in 2006 leaving Margaret and her three siblings paternal orphans. Margaret stays with her mother who struggles very hard to support her. 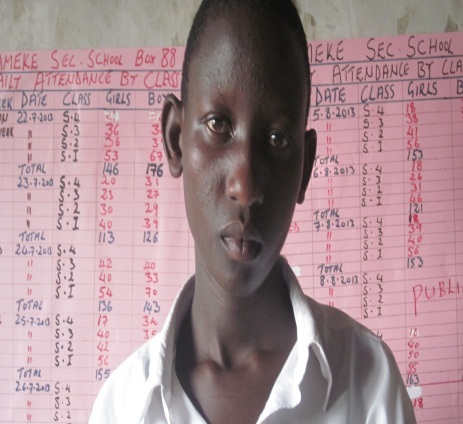 Two of Margaret’s siblings dropped out of school due to lack of support and are now married. Kiyai Lucy is the last born child in the family of Okiria Lawrence and Apolot Dolosi. Lucy and her four siblings were orphaned in 2002 upon the death of their father, leaving them under the care of their mother who is over sixty years old and helpless. 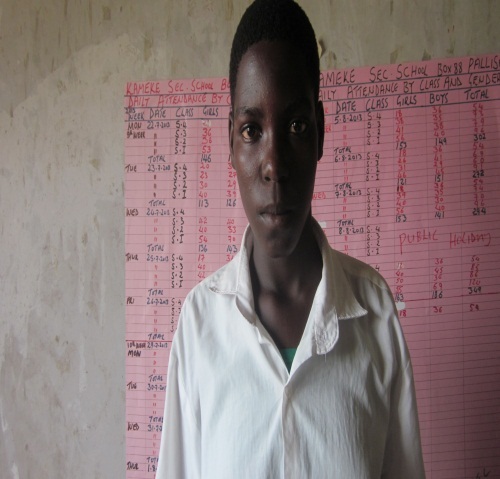 Lucy is the only child in the family to access secondary education. Her siblings dropped out of school at primary level. Lucy struggles to meet her basic needs including school requirements by working on peoples’ gardens in return for some little pay. 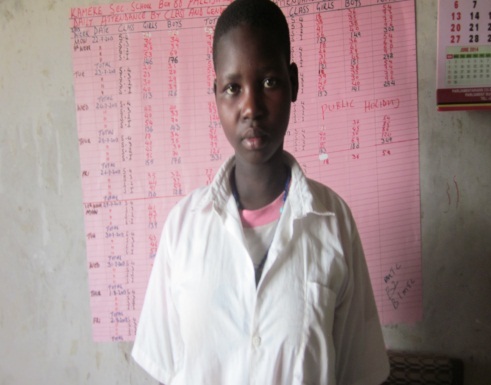 Orajja Grace and her five siblings are maternal orphans. She is the youngest child in the family. Their mother Aujo Kevin died in 2006 leaving them to fend for themselves. Following the death of the mother, their 60 year old father, Orajja Peter remarried and abandoned them. 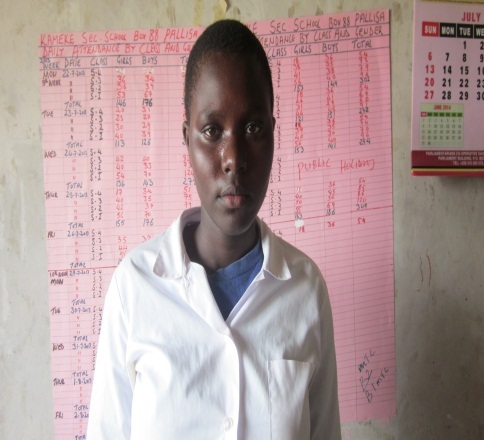 Grace gets occasional help towards her school requirements from her elder brother who is a student in a nursing institution. Given that he is a student with no source of income it is a real struggle for him to offer even the little he does to her sister. Akuti Catherine is a double orphan. She lost her father Idoto Simon in 2005. Two years later (2007) her mother, Amoding Anna also died. After the death of her parent, Catherine and her six siblings went to stay with their seventy two year old paternal grandparent. The old man struggles to look after Catherine and her siblings. Since the old man is getting weaker by the day this puts the future of Catherine and her siblings at a very big risk. Agwang Mary was born on 25th December 1995. She is a paternal orphan having lost her father, Okwaja Constant on 12th June 2012. She comes from a family of four children and is the only child at school. 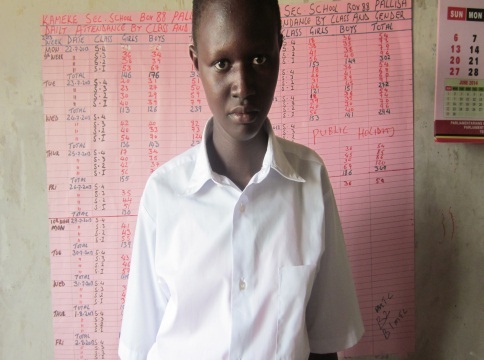 Her three siblings dropped out of school at different levels because the family could not meet their school requirements. She lives with her poor mother, Amongin Florence, together with her siblings. The family’s only source of livelihood is subsistence agriculture which is very highly unreliable. Aanyu Margaret is the fifth born of the seven children of the family of Eroko Lambert and Aanyu Margaret. Her mother died in 2007 leaving Margaret and six siblings maternal orphans. Aanyu gets some little support from her auntie Apolot Magdalene who in addition has a large family to care for. Apolot Proscovia is a third child in a family of six children. She and her five siblings are paternal orphans since 2011 when their father, Okap Erunia died. Proscovia and her siblings live with their mother Asio Anna Grace who struggles hard to provide for them. However her earnings are inadequate to support Proscovia’s family and pay for school requirements for all the six children. Achola rose lost her father, Oluka Ben in 2002 when she was barely two years old. Rose has six siblings. Four of them are at school while the oldest three are married. Rose and three of her siblings live with their seventy year old mother; Amoding Lilian who is elderly and weak to support them through school. 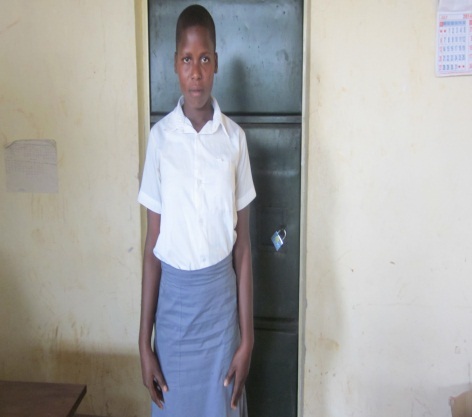 Nyamera Betty is a teenager in her second year of secondary school and has been a maternal orphan since the death of her mother, Amoding Stella. Although her father, Otibok Augustine, is alive, he has abdicated his responsibility of providing for the family. Betty and her seven siblings live with their paternal grandmother who is elderly and helpless. Although Betty and her siblings sometimes earn money by working for others in the community, the earnings are not adequate to sustain a family of eight children. Abwate Esther Lucy lost her father Okalang Girado in 2004 when she was only three years old. She is being raised together with her nine siblings by a single mother with no meaningful source of income. Ajolo Margaret Joan is the second oldest child among the six children from the family of Opolot Peter and Nyamera Mary. She and her five siblings are paternal orphans. When her mother, Nyamera Mary remarried, Joan and her siblings moved to live with their maternal grandmother, who sells pancakes to support them. 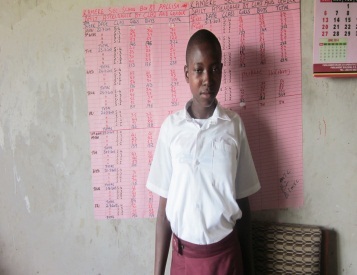 However the returns from the business are inadequate to support Joan and her four siblings who are all at school. Asio Beatrice lost her father Oluka John in 2011, leaving Beatrice and nine of her siblings orphans, leaving them under the care of their mother, Asio Mary. As a single mother without a steady and meaningful source of income, she cannot afford to pay for her schooling necessities in addition to providing household needs for a large family of nine children. 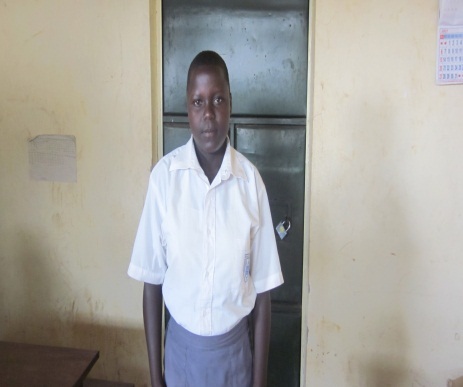 Agwang Kevin is in her second year of secondary education. She has twelve siblings who are all at school. Their father Adooto Vincent died in 2013, dashing her hopes of education. Her mother Abeja Pellina Joy is too overwhelmed with the responsibility in her hands. As a consequence they approached their paternal uncle for support. Unfortunately he too has a huge family of eight children to look after. The children are struggling to cope. Abwaka Judith is a maternal orphan, whose mother, Jane Florence Ikiring, died in 2004 when she was only eight years old. Judith and her siblings live with their father, Obubula Simon Peter, and step mother. 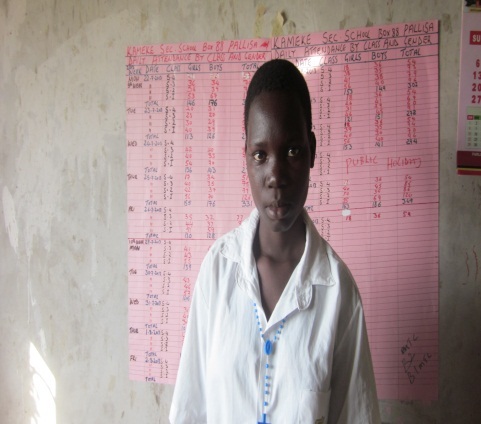 Her father struggles to support her and six siblings who are all at school. Among Sylvia is a total orphan. Both her parents are deceased. Her father, Asire Faustino died on 21st April 2007. Three years later her mother, Abeja Juliet also died on 15th August 2010. Sylvia is the youngest in a family of seven children. 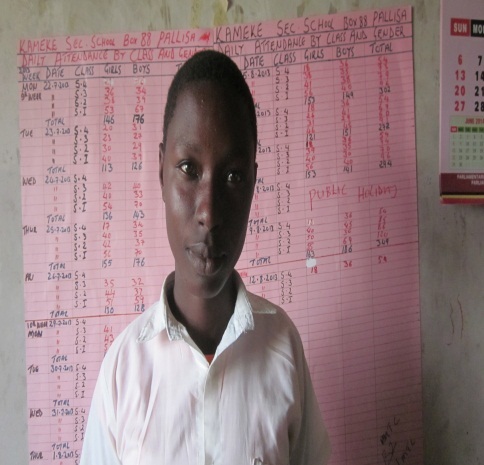 Five of the children are at school while their two dropped out oat secondary school level. Life for these children as double orphans is a real night mare. Acam Joyce Florence is a paternal orphan. Her father died when she was very young. Joyce Florence’s mother, Amuge Joyce Mary, remarried. Joyce Mary stays with her mother and step mother. Though she receives some support from the step father, this only comes after the needs of the couple’s children have been met. Achola Christine comes from a family of four children who were abandoned by their parents Okiria Clement and Angela Berita Magowa. Christine and her siblings live with their paternal grandmother who is elderly (over 70 years) and sick. The grandmother is helpless and cannot provide for the family. Atim Lobisa is the eldest child in a family of five children. Her father Ikara George died in 2003 when she was only seven years old. Her mother Ajolo Hellen remarried and has four children from this relationship. Lobisa and her four siblings were taken up by their paternal auntie who is a widow with eight children of her own to look after. She has no means to support them. As a consequence Lobisa, as the eldest child in the family assumed the responsibility of head of household. Namubiru Sharon is an orphan. Her father, Ssenyonga John, died on 10th September 2013. Following the death of the father, her mother, Namugwe Annet remarried and moved out of the family home. Sharon is living with her grandfather who is over seventy years old and helpless. Her three siblings are staying with their maternal uncle. 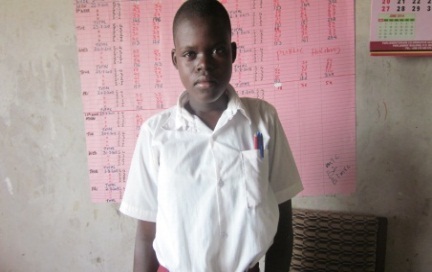 Sharon and her three siblings are all at school and always lack basic school necessities. Akwii Anna Grace has a very tragic background. She is the only child from her mother, Amulen Sharira, who died in 2009 when she was ten years old. 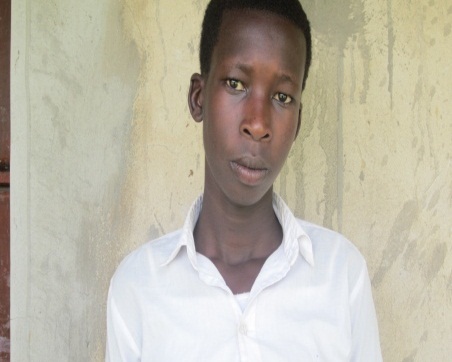 Upon the death of the mother, her father Otude Michael disowned and chased her from home. She shuffles around between homelessness and starvation. She relies on well-wishers for help. Her current sponsor, Okasio Andrew, is hospitalized following a serious accident. This puts the continuity of her education at cross roads. Between February and August 2014, Forum of Women for Accelerated Rural Development (FOWARD Uganda) undertook an exercise to identify girl orphan youth in two secondary schools of Kameke and Kibale in Pallisa district; and to establish basic education materials needs of these students. Through this exercise, Forum of Women for Accelerated Rural Development, working together with the respective school administrations and local community leadership, was able to identify and profile thirty girls (sixteen from Kameke secondary school, while fourteen are from Kibale secondary school). In addition FOWARD Uganda was able to establish from the two schools the following as the specific requirements to be provided by parents/guardians/students annually. However most of these requirements are beyond the reach of these students necessitating external support. Stationery: Counter books (13), three dozens of pens, a dozen of pencils, calculator, and mathematical set and long ruler. Others: school bag, school identity card and at least one packet of sanitary pads monthly. Lack of basic educational materials poses a major barrier to accessing free secondary education for marginalized and vulnerable children from rural areas of Uganda, particularly orphans and vulnerable girl youth. Basic learning materials are considered crucial to ensure that the students participate reasonably in the learning activities in the classroom. With funding already extended towards this cause by Waamu, Forum of Women for Accelerated Rural Development, under its “Girl Orphan Scholarship Project” will support some of the most deserving girls with some of the school requirements, particularly stationery for the academic year 2015. Out of the USD $600 (1,170,000 Uganda Shillings) received from Waamu in 2014, 270,000 Uganda Shillings (USD$120) was spent on the above exercise.